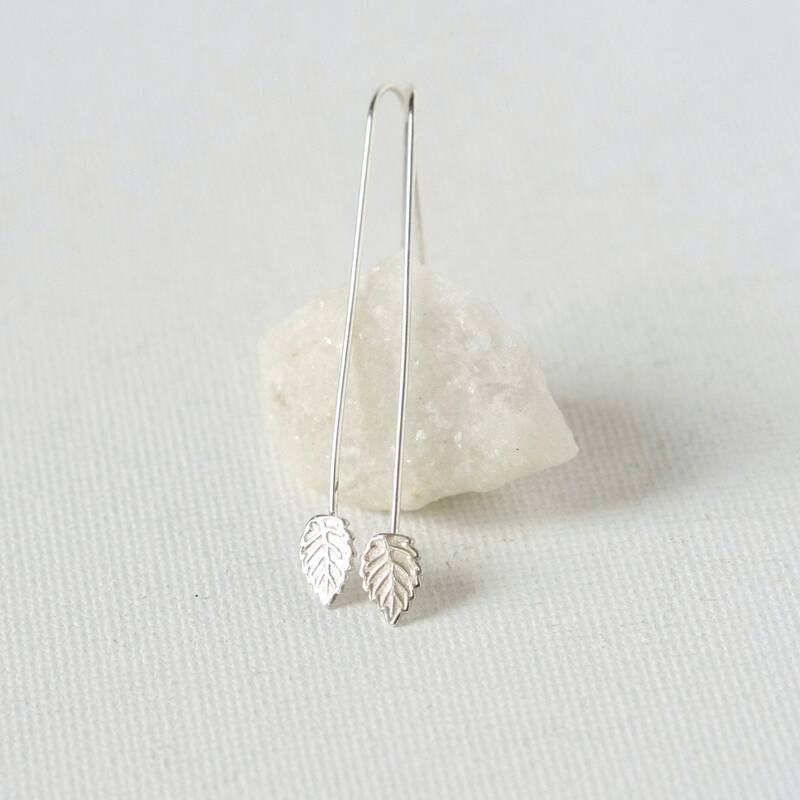 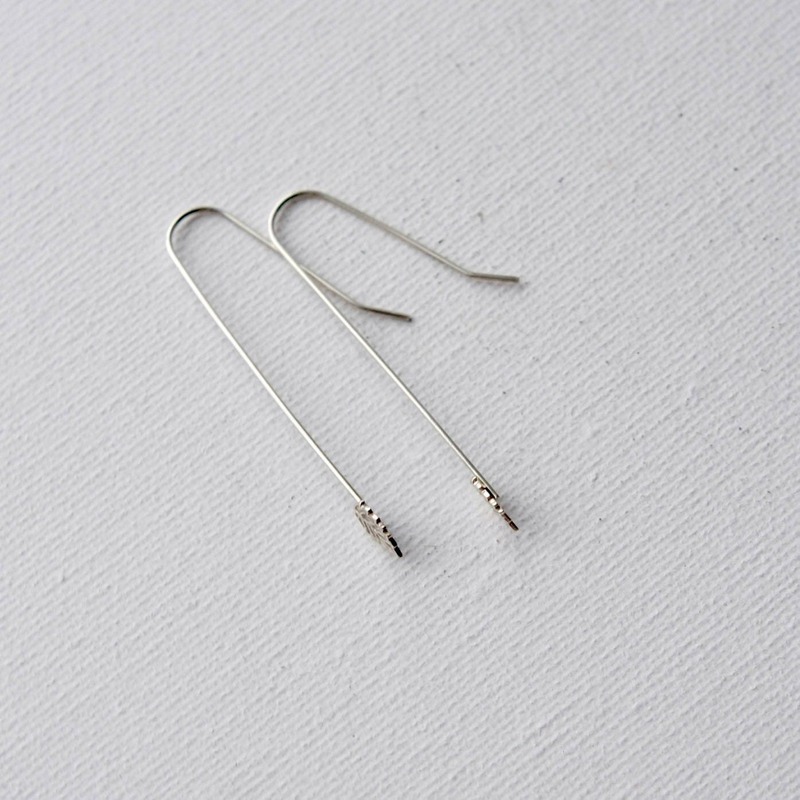 Super stylish long delicate leaf earrings are perfect for the nature lover! 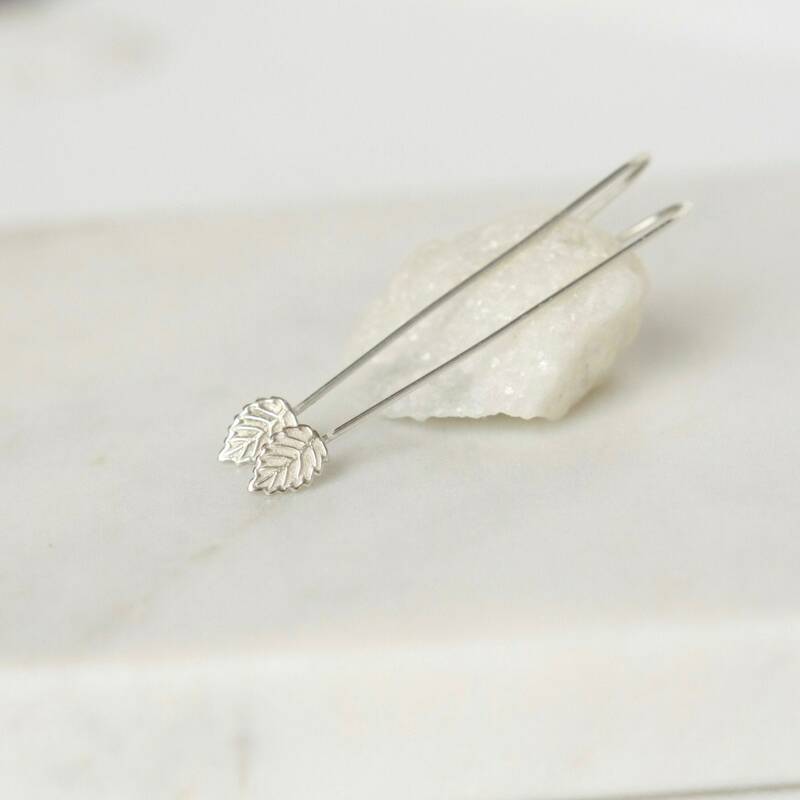 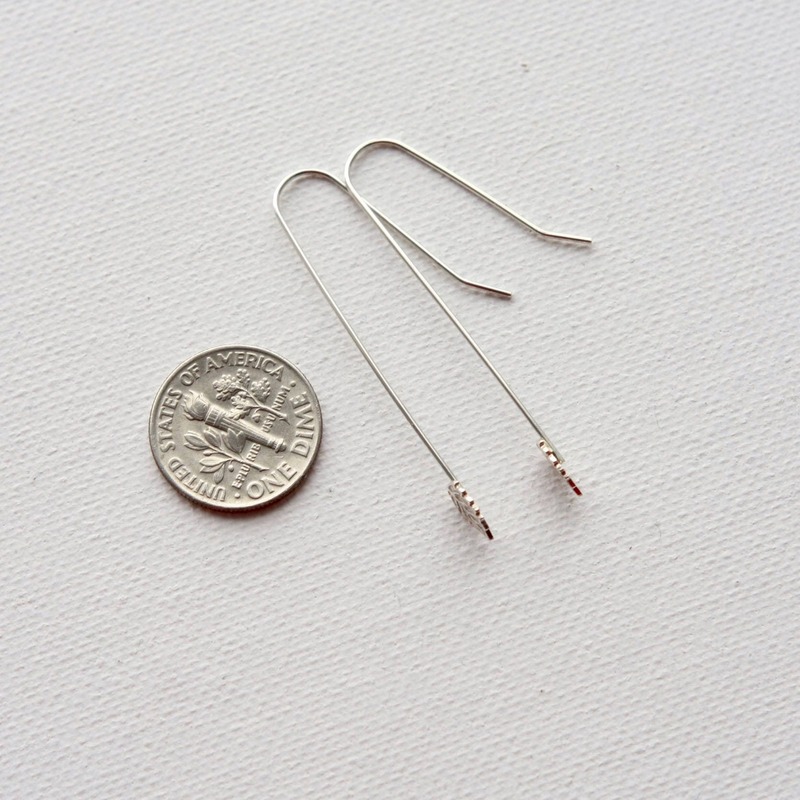 These linear dangle earrings feature sweet and dainty sterling silver leaves that have been soldered on to sterling silver ear hooks. 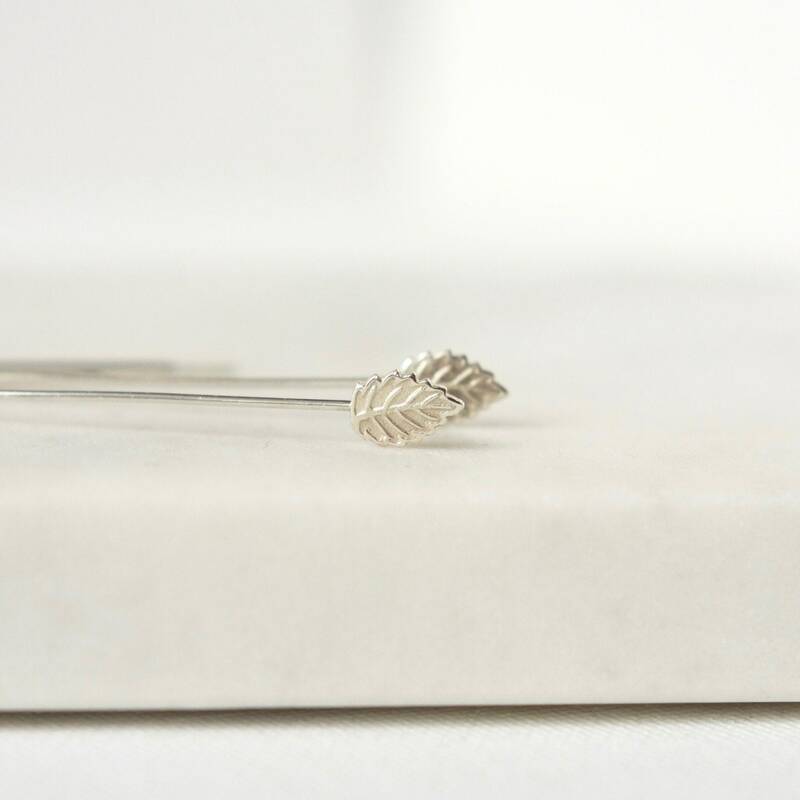 The detailed leaves are about 7mm long and about 4mm wide and from the top of the ear hooks the total length of the earrings is 1.75 inches.